Jr. Predator (Ages 10-15) Class Weight = 330 lbs. 1. Engine must be run out of box. 2. 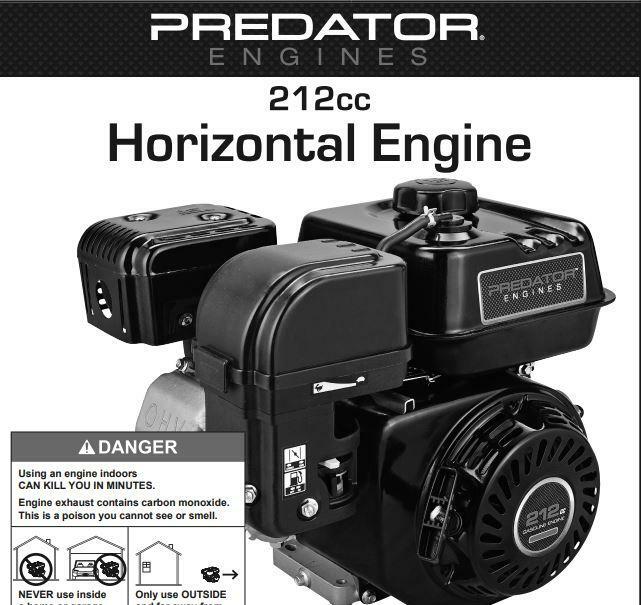 Engine: Harbor Freight Predator 212cc engines (model 60363 or 69730) ONLY. 3. Air filter and stock air box must be installed per factory. 4. The Governor MUST BE CONNECTED and OPERATIONAL. 5. Engine must pass a Governor Test on the stand if asked: 5500 rpm max. 6. Engine must have keyway as installed by factory on the flywheel. 8. Throttle Stop Screw is Non-Tech. 9. Carb is Stock as factory. NO MODIFICATIONS, Including Stock Jets. 10. You can only bolt on a chain guard. No aftermarket add ons. 11. Stock gas tank must be utilized. 12. Low oil shut off may be disconnected. 13. Recoil vents must remain unblocked - NO taping or stickers. 14. NO MACHINING OF ANYTHING WHATSOEVER. 15. CLAIMER RULE: The track has the option to claim Any motor, at any time, for any reason, at the track's discretion. Any refusal to turn over claimed motor will result in immediate disqualification from that day's event and suspension from the Predator class for the remainder of the season. 16. Anyone found illegal will be disqualified from the day's event and suspended from the class for 2 weeks on the first offense. A second offense will result in suspension from the class for the remainder of the season. 18. Burris 33 Tires ONLY. 20. Drum Shoetype clutch ONLY. 21. No points paying race pays more than $50 to win.